omg that tiger is incredibly cute!! i N E E D to make one. Here are my lovely stuffies I received from tigarlilly. and with her friend the spotted elephant! I'm glad you liked them. 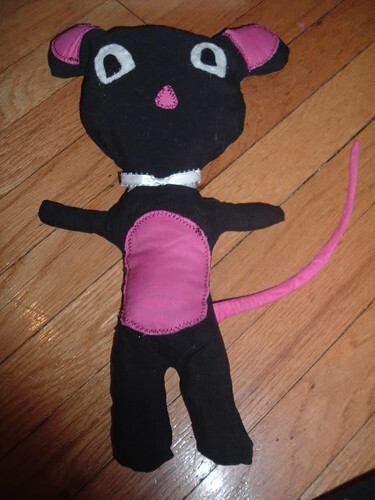 The rat came out a little odd looking, lol. I guess it gives her more character though. I really like the way she came out! Boy, this group certainly liked elephants, huh? 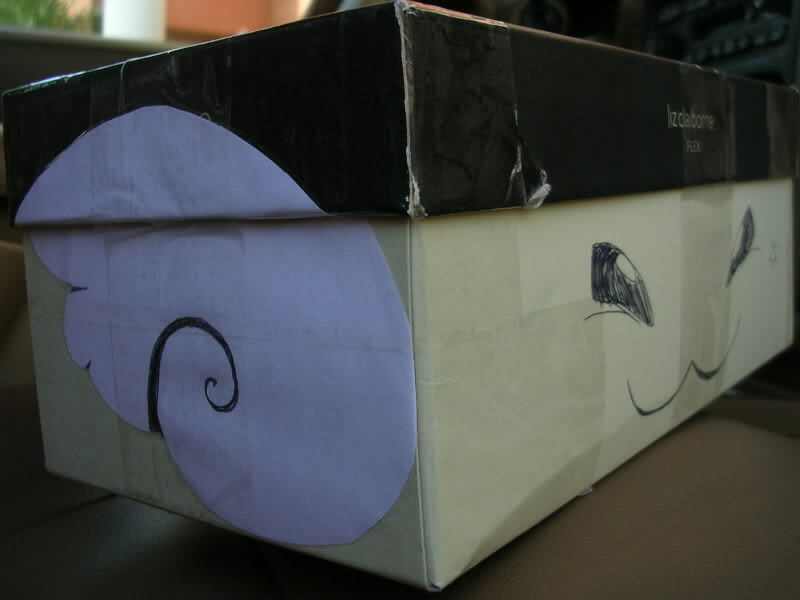 Here are two of the 3 items I sent to Gypsythief as her swap angel. Enjoy! I like the hedgehog I made her. It's a very girly hedgie, isn't it? The fabric was really neat... but rather sheddy. The eyes are beaded. 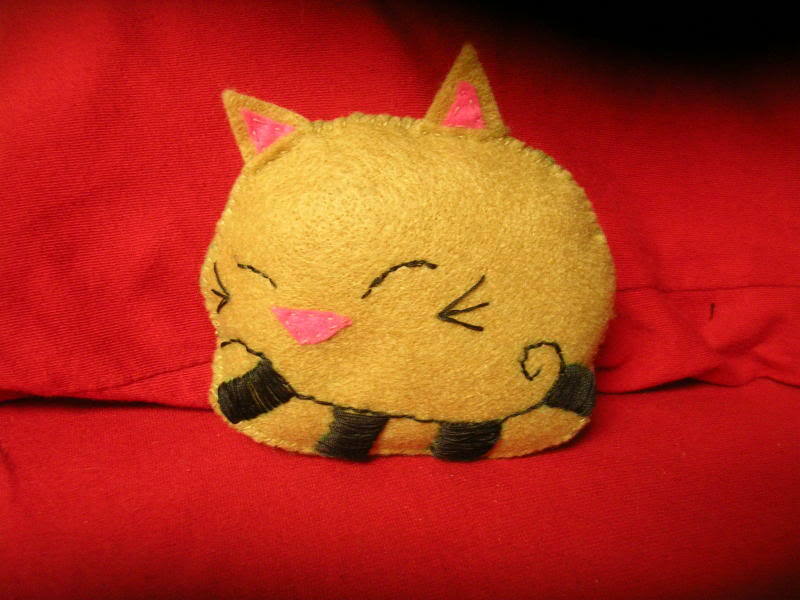 The other is a nyanko cat face I made from fleece, the black is my amateur embroidery. 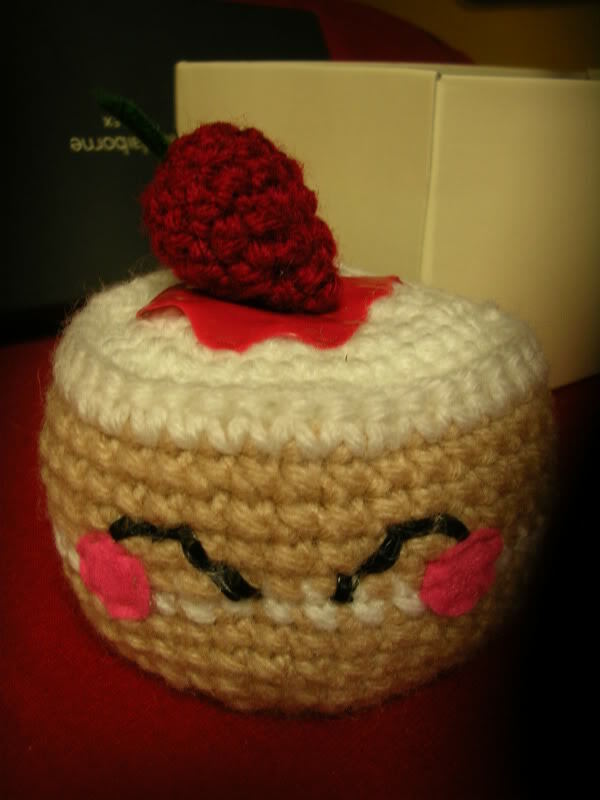 I also sent a small mushroom pincushion/stuffy, but don't have pics of that.. forgot, whoops! Enjoy! omg that hedgehog is amazing! Well... 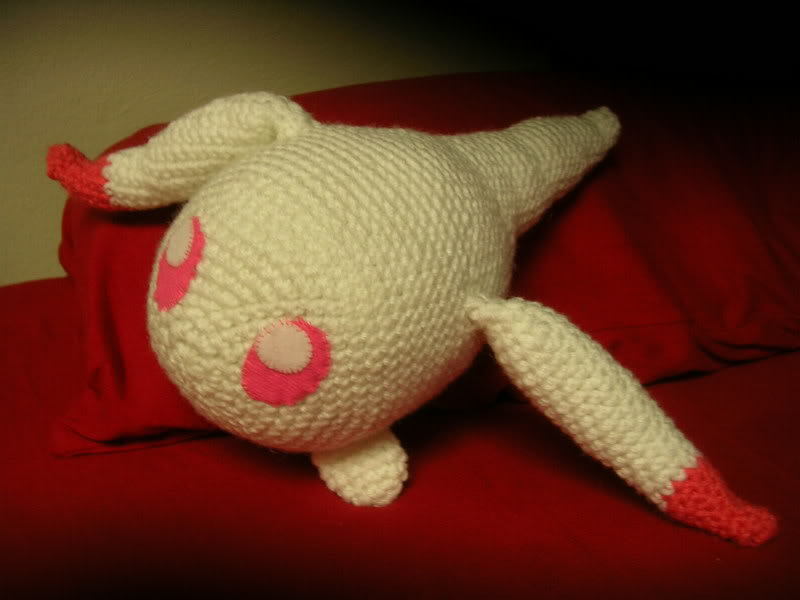 I guess I'll post my angel package to sexylilsushiroll. I did absolutely love my hedgie, mushroom, and kitty! Sorry I didn't post pics, we're going into our crazy time of year here in retail land. Thanks again for being my angel. Everything was perfect! that stuff is soo cute!